Father´s Day, it is the day that the fathers get a bit more attention than usual. This day was created to we honor fathers and celebrate fatherhood, and the influence of fathers in the society. Father´s Day was created in the United States in the early 20th century to complement Mother´s Day. Funny is that there is no global day, Father´s day is celebrated on different days in the world, the most common celebration date is the third Sunday of June, at least 79 countries celebrate Father´s Day on this day. The second most common date is the 19th of March, with 12 countries celebrating Father´s Day on this date. This special day for your dad is coming closer and you might feel like a blank page trying to come up with a present. Well, the Chromers do! However, they found the solution! The Chromers decided to be creative and make something original by their selves! They have shared their creative idea and called it the Chrom Dad´s Pack, they´ve made a video with a step-by-step explanation. Read it, design it and create the most amazing gift for your dad! For the Chrom Dad´s Pack you need a glue stick, a bit of wool, a pair of scissors, a role of tape and last but not least the Chromville 2D material. For the Chromville 2D Material you go to your account on chromville.com. Click on downloads and free content to download the material and it will be ready for you to print! Paint the printed 2D material the way you want! Now you have an amazing kite bookmark! Look at that! 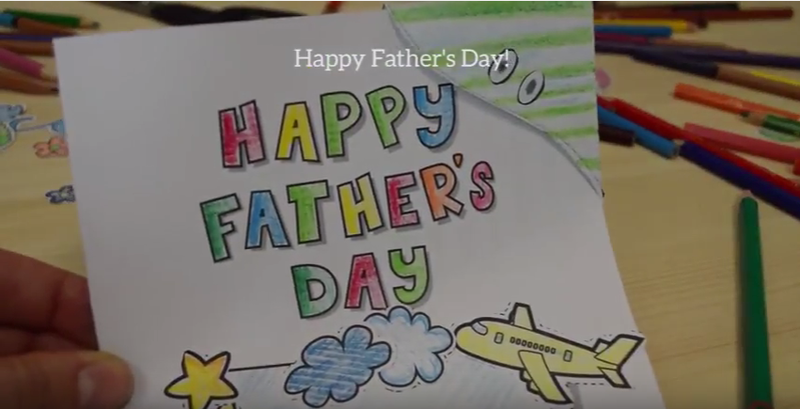 You´ve made an amazingly creative and original present for your dad, especially for Father´s Day! Happy Father´s Day from Chromville!